My goal as a portrait and lifestyle photographer is to capture each client in a natural and carefree way. I love documenting their expressive and candid moments because I feel that is what truly makes a photo come to life. My style is expressive, modern, bright and always creative. Years of studying and hands-on experience in photography have made me extremely knowledgeable and quick on my feet. Newborns and children, engagements, families, maternity, ballerinas and boudoir are just a few of the styles I’m known for. What you’ll get with me that you won’t get with any other photographer is a unique collection of images that actually freeze time and tell a story only you know. As a 2010 English Lit and Photography graduate of Florida International University I grew and experienced so much. 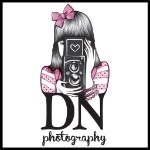 Studying art history and the movement of it’s time, living near the Design District of downtown Miami and working with world renowned photographers unlocked infinite doors to what quite literally has become Danielle Nicole Photography. Art, life and passion is the essence of my work. It was throughout my studies, in and out of school, that allowed me to follow this passion and create work that not only is timeless but work that is unique. It’s as simple as when you speak with someone face to face, you look him or her in the eye. Eyes can tell you anything you need to know about a person. Eyes express every emotion, character and thought. My favorite part of photographing someone is the challenge to succeed in capturing the pure essence of whom that person is. Likewise, in photography, when a photo is taken of someone, you must first zoom in on the eye to focus, pull back, set up your shot and “click” you’ve captured a moment in time that is truly unforgettable. The most rewarding part of my job is the smile and enthusiasm on my client’s faces as they flip through their shots! It’s one of the biggest reasons why I chose photography as my career. : I love finding old and unique coffee shops and pubs. : I still get butterflies before a shoot.